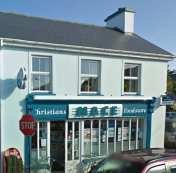 For a small village Sneem has a great variety of shops offering pretty much everything you might need from the everyday essentials to gifts, hardware, building supplies, flowers and knitwear. Some shops we use on a regular basis are listed below. Known locally as "Hilarys" this shop stocks a variety of vegtables, fruit, cakes, bread, fresh and frozen foods as well as a range of toiletries and cleaning products. Hilary's is also the place to go if you need bird feed, pots and pans, animal feed or fertilizer. To the rear of the shop there is a small yard where you can load up on the bulkier items such as coal and peat. You can get a good pair of wellies or work boots here and also the wet weather gear to go with them. Located on the corner of the South Square, stocking a great range of food and wine as well as peat and coal. It has a deli counter where you can get a hot snack or some great home baked ham. There has been a recent edition, following a refit, and now a fresh coffee machine is located in the front of the shop. Christians are also a newsagents so you can get papers and magazines. Finally, but most importantly, Christians has the only cash point machine in the village. A family run business for everything hardware, building supplies, and power tools. Finding such a well equipped and friendly hardware supplier in the village was a great surprise to me. If they do not have the item in stock they will gladly order it in for you. Galvins are also a great source of advice if you have DIY questions. In addition to the shop Galvins also have a yard for larger bulk items, and can deliver anywhere in the locality, pay in the shop prior to visiting the yard. 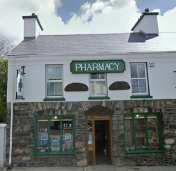 Probably the most quaint Pharmacy you will ever see, with shelves of dark glass bottles it would seem more at home in a Dickens novel. The Pharmacy is a great improvement over the urban chemist and is also a great source of medical advice. They also stock a comprehensive range of familiar branded products and have a high quality photo printer available for your holiday snaps. The village post office is located in the South Square. 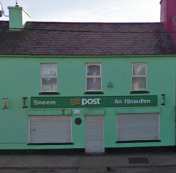 As well as the usual services you would expect from the post office you can also purchase Irish gifts and post cards. 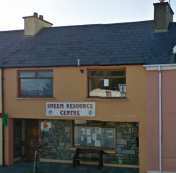 The resource centre is located on Sportsfield Road, just past the Hungry Knight, and offers a variety of different resources including Internet Cafe - Copy machine - phone/fax - Secretarial services - Room rental. 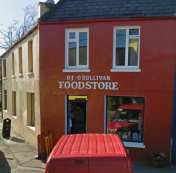 The butchers is located in the North square, famous for the Sneem Black Pudding. Burns Butchers has been in existence since the early 1900s. 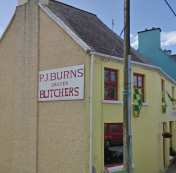 Kieran Burns who is the proprietor at North Square, Sneem, is the fourth generation butcher in the family. Patt Burns was the first to dabble in butchering, who was then followed into the trade by two of his sons, Paddy and Stephen. Paddy's son P.J. then entered the trade leading down the line to Kieran. 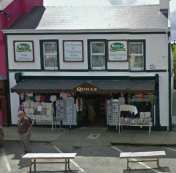 Quills prides itself on being the Original Woollen Market in Ireland. Our Speciality is the Aran Sweater and is the foundation of our stores. With our own local Knitting Ladies creating quality and unique aran sweaters and knitwear that will not be found anywhere in the world. Quill's also sells authentic Irish gifts and jewellery. 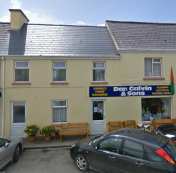 Holds a comprehensive stock of Irish music, books and instruments. 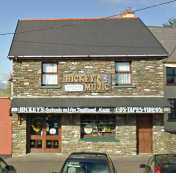 Hickey's is on the right just before the bridge in the South Square, don't worry if you don't see it you will soon hear the intoxicating music drifting over the square. 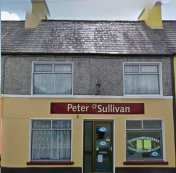 Established since 1958 the O'Sullivan family are proud bearers of the family meat business and the particular tradition of making black pudding so strongly associated with this village. Peter continues to make his family recipe by hand and sells it direct from his shop and through a few other butchers in Co. Kerry. Located at the top of the North Square. You have to try the award winning sausages. 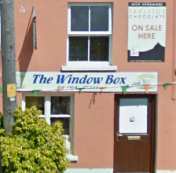 Fiona O'Shea runs the Window box, the village florist. Not only does The Window Box supply beautifull flowers for all occasions, plants and spectacular Christmas greenery you can also buy greeting cards and Skellig chocolates too. Located in the North Square. Hire bikes for the whole family to see the best of the Ring of Kerry. Note I am in no way connected to any of the businesses mentioned on this site.